Chiropractic is a health profession concerned with the diagnosis, management and prevention of mechanical disorders of the musculoskeletal system, and the effects of these disorders on the function of the nervous system and general health. (Primary Reference – WFC Dictionary Definition World Federation of Chiropractic, 2001). 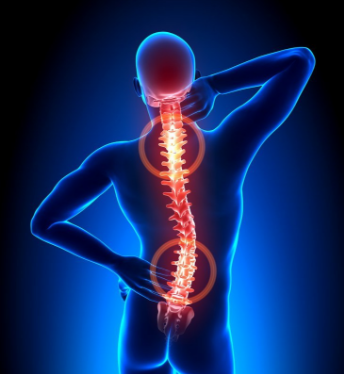 Chiropractic may assist by helping to align the spine and by improving your posture. You may like to have a chiropractic adjustment or treatment by itself, or you can book one to coincide either immediately before or after a massage…depending on your personal preference. The chiropractic assessment and adjustment usually takes around 20 minutes. Holistic Kinesiology is a natural therapy that has profound effects for you and your health. Your Kinesiologist uses muscle feedback or muscle testing and body awareness that can help you to reduce stress and pain in your body. It uses a unique mix of complementary therapies and muscle monitoring to release physical, mental and emotional stress. Due to its holistic approach, Kinesiology can help all areas of health and wellbeing. This is a treatment in which fine needles are inserted into taut bands of muscle fibres (trigger points) to release tight muscles reducing pain and dysfunction. This is an ancient Chinese healing technique used to address stagnant chi (energy) in the body. This is achieved by scraping your skin with a smooth-edged instrument with short or long strokes to stimulate microcirculation which increases blood flow.